I decided to join Kim over at My Go-Go Life for SEWjo Saturday. I think we all know how many projects I've started but haven't finished (I'm workin' on that). Well, I wouldn't want to disappoint so I started yet another one. I wanted one that I could just finish in a very short amount of time....like today! And let's face it, the Mini Swoon by Thimbleblossoms that I started recently is not a quick pattern like I thought it was going to be. Look at all the pieces! So....I switched gears and cut into my Joel Dewberry stash of Notting Hill fat eighths that I bought from Winter Creek Cloth sometime last year. 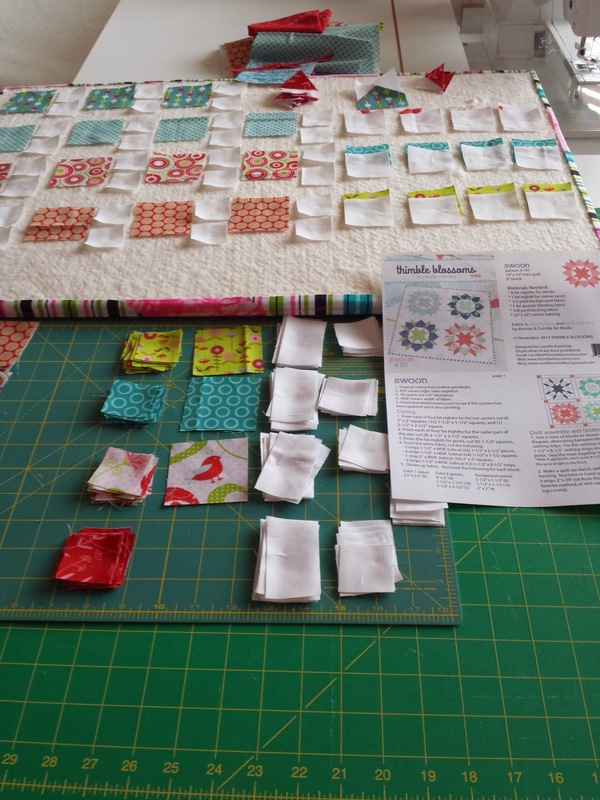 I flipped through Quilting Happiness because I remembered a little project in there that I wanted to make. These little churn dash blocks. Just too dang cute! 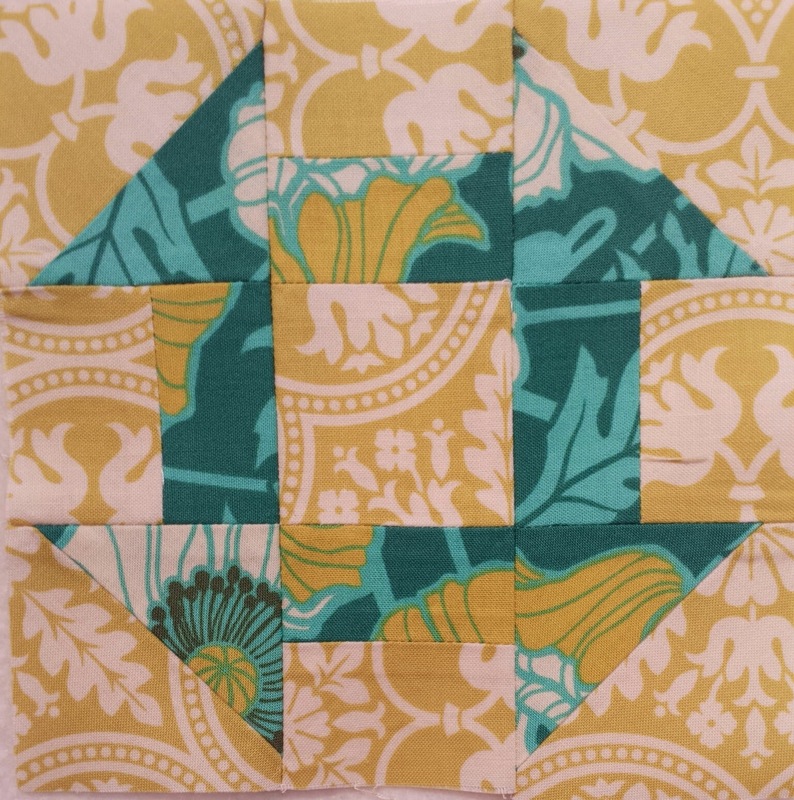 I was able to sew these two blocks fairly quickly today. I made a promise to myself that I would sew one block at a time, quilt it, and bind it and be done with it before I started the next. Ummmmm.....yeah, that didn't work. 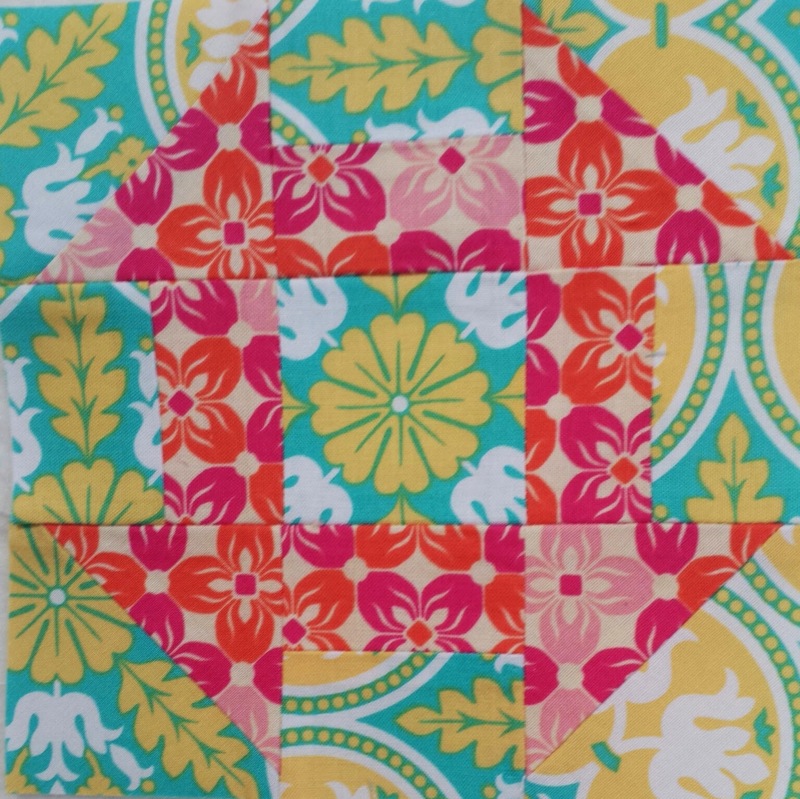 I pieced one, LOVED it, and then wanted to start another. I'm afraid that if I don't stop and just finish these two that I might end up making enough to make a quilt, and that's not what I want to do. These two blocks, along with others, will be hung around the house, maybe all in one place, maybe not. They're only 6.5 x 6.5 inches! So cute and so easy! 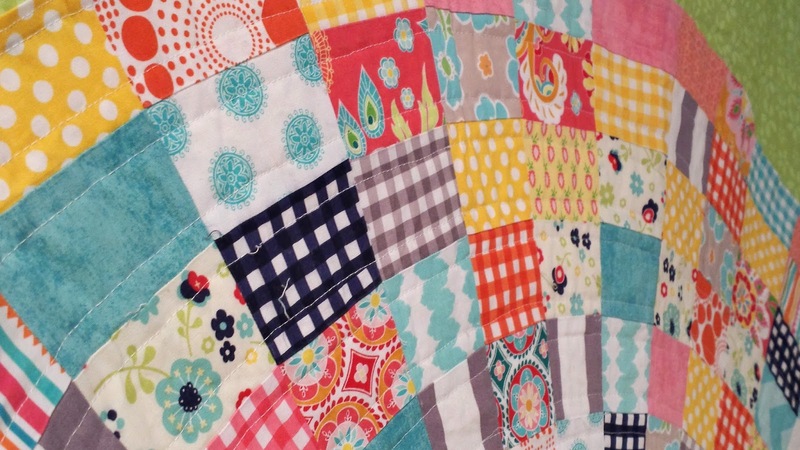 I recently finished a pretty dang big quilt for the Riley Blake Basics Challenge for the Modern Quilt Guild. All MQG members who signed up were given a fat eighth of six different fabrics....and these fabrics were not all from the same line.....and actually looked like they would never look good all in the same project....to me.....because I have a very difficult time with being scrappy. My favorite one was the orange! Even Mr. QJ liked that one and said "We have to get some more of that one!" Since I always do what he tells me to do (ha ha ha! only when it has to do with fabric), I'll stock up on that one! I decided that I would make something small. That way, I could finish it within a short amount of time since I'm always waiting till the last minute to get started. 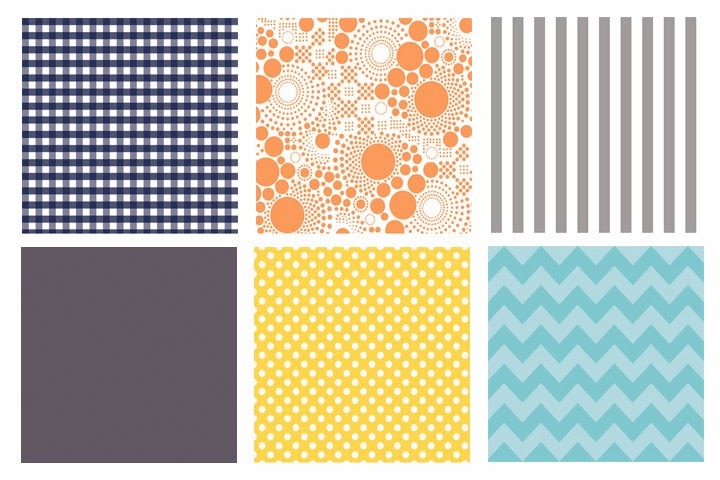 We were allowed to use all of the fabrics or just some of them, and we could add any solid and/or any other Riley Blake print. I started going through my stash and found several Riley Blake prints that worked! Yay stash! 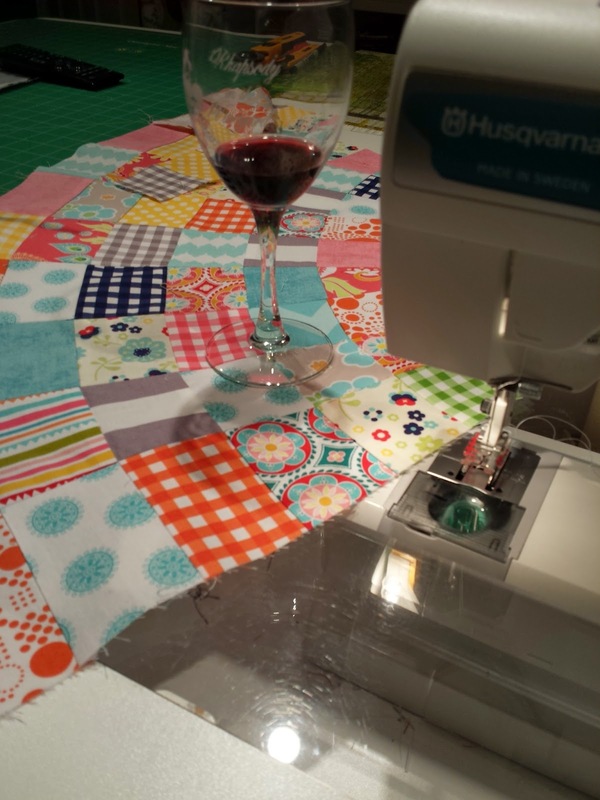 I thought about making a small Dresden plate or just a scrappy postage stamp mini quilt. But then I came across a few Giant Dresdens online and fell in love. One of my favorites is Rita's at Red Pepper Quilts. 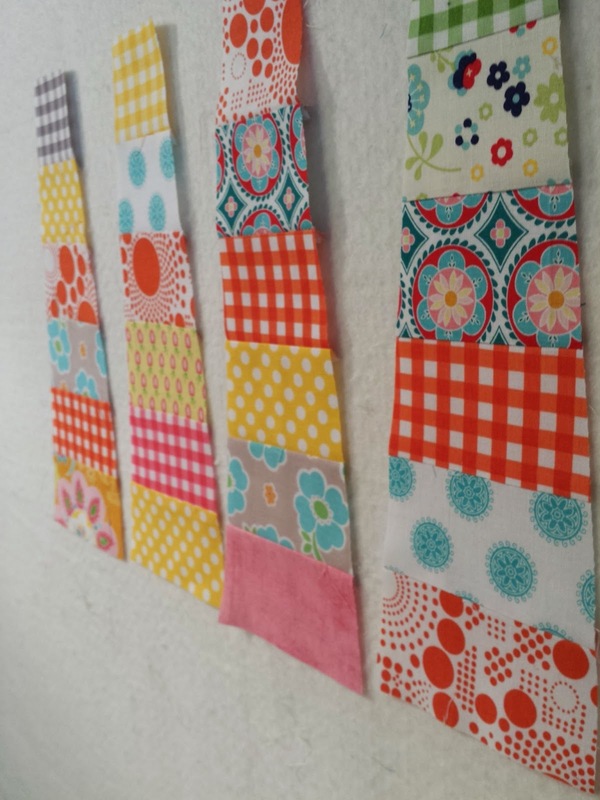 I just sewed together six 2.5" strips of fabric, then used my Fons & Porter wedge ruler to cut out each Dresden. I worked day and night on this thing, and it seemed to take forever. Here are a few in-progress pics. 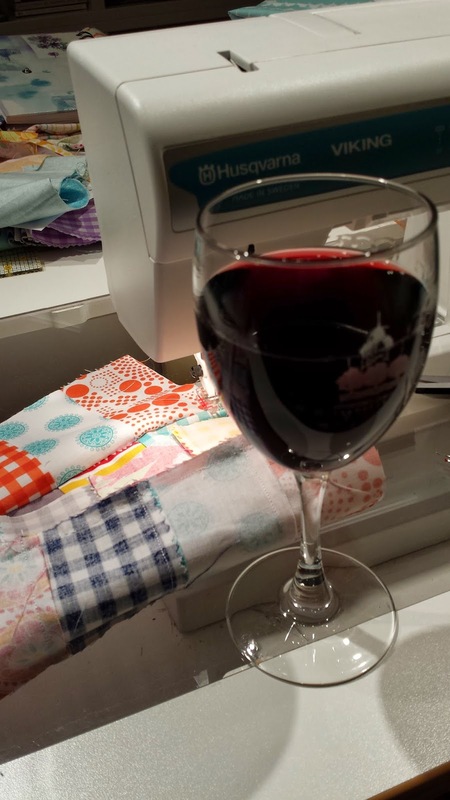 Yes, I drink wine when I'm sewing, and I've been known to spill red wine on my quilts. It always comes out or gets covered with an applique of some sort. I used a bunch of Madhuri as well as all of the donated fabric from Riley Blake (except for the solid gray), and also some Riley Blake Gingham and Sunny Happy Skies, Dress Up Days by Doohikey Designs, and Bake Sale by Lori Holt. I'm not quite sure how mine ended up with a much bigger center than Rita's. Must have been a different degree of ruler?? Then I had the challenge of how big I wanted it to be. Would I ever hang this on a wall? 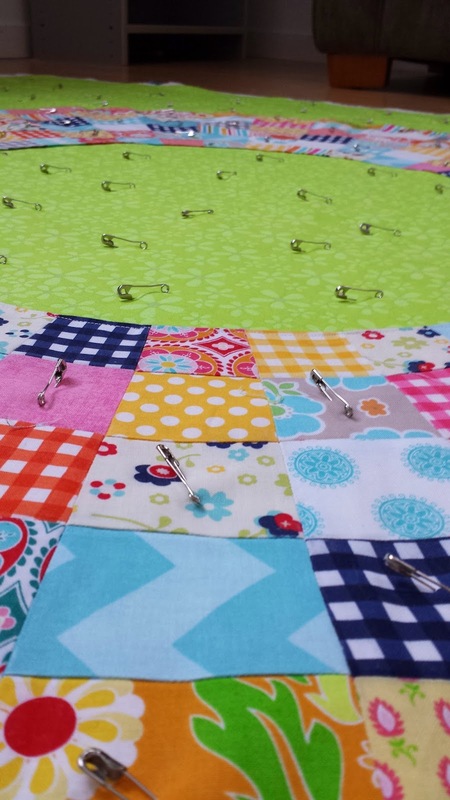 Did I want to just make it a lap quilt? Or did I want it to be big enough to have as an extra quilt on my bed? I went through my stash and found a ton of yardage of this beautiful Sugar & Spice green tonal flowers from The Quilted Fish. So I made it big.....big and green. Now.....the challenge of attaching this huge Dresden to the fabric. I remembered seeing a great tutorial for starch applique by Natalia & Kathleen @ Piece n Quilt. I had a question or two about the process and sent Natalia an email. I know she's a busy lady, and I knew that she would eventually reply, but I really didn't expect to hear from her within just a few minutes! She was so helpful, gave me some tips, and also recommended that I cut all the excess fabric off the back of the Dresden after I sewed it onto the background fabric to reduce the bulk - brilliant! So, here's the finished quilt. The lighting isn't so hot in this pic. I have the best studio for taking pics in the daylight with a big 8-foot window, but this obviously didn't get taken during the day. 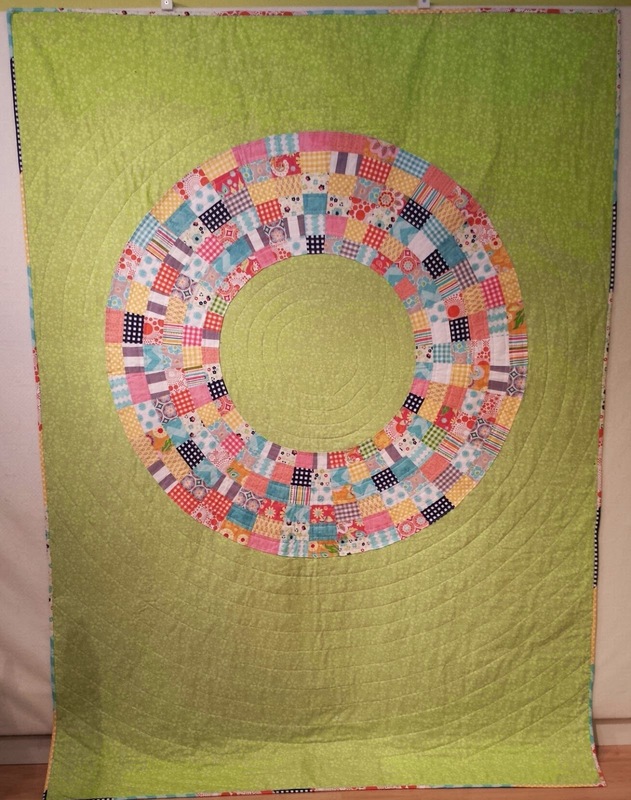 I knew I wouldn't win any prizes with this, but it was great to challenge myself with a scrappy quilt. Heck! I even did a scrappy binding!